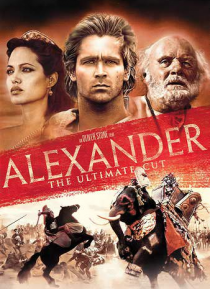 The epic story of Alexander the Great, the King of Macedonia and one of the greatest military leaders in the history of warfare, who over an eight year period managed to conquer 90% of the known world of his time by age 25. This story chronicles Alexander's path to becoming a living legend, from a youth fueled by dreams of myth, glory, and adventure, to his intense bonds with his closest companion… s, to his lonely death as a ruler of a vast empire. Enjoy this Ultimate Edition!